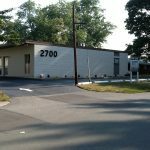 Conrad Office Buildings - PPI Real Estate- Property Professionals Inc. The Conrad Office Buildings consists of 6 office/suite buildings. 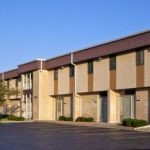 The buildings total over 39,000 square feet and are located near 56th Street and Keystone Avenue in Indianapolis, IN. 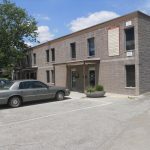 This commercial property is just minutes from the Glendale Shopping Center, Broad Ripple and a multiple number of other amenities. Conrad Office Buildings caters to start-up and smaller businesses looking for a good value in office and suite space. Offices and suites range from 112 square feet up to 1,380 square feet. 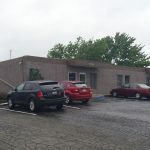 Office rentals include all utilities, free access to Wi-Fi, free use of the conference rooms, vacuuming and removal of trash twice a week in addition to all maintenance. All suites have a direct entry, private restrooms and HVAC maintenance included (minor annual fee for inspections). All leases are one (1) year terms. All buildings have undergone various aspects of upgrades with more on the schedule to complete. Conrad Office Buildings offer ample on-site parking for all of your employee and client needs. Signage is available on or near the front doors of all spaces. Please complete the application and return to us.